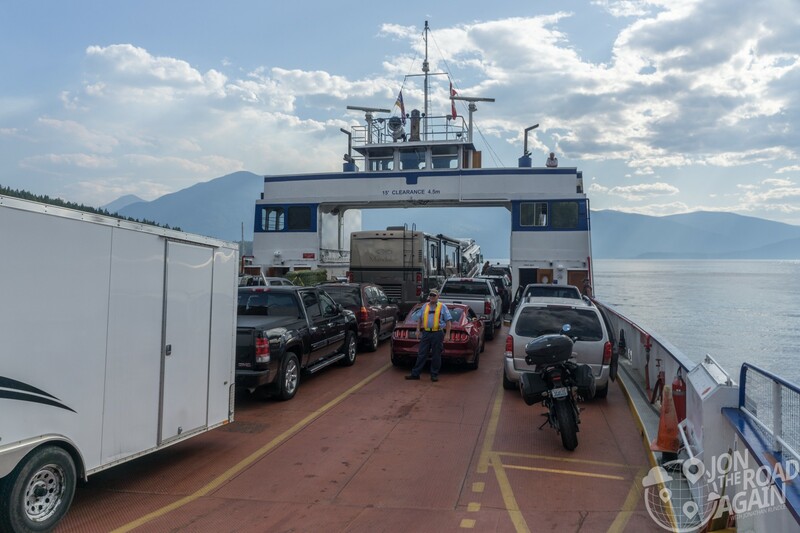 The next stop on my Seattle to Glacier to Waterton to Seattle round trip moto trip is the Kootenay Lake Ferry. Keep your wallet in your pocket, this ride is free! It’s true, this ferry is free. 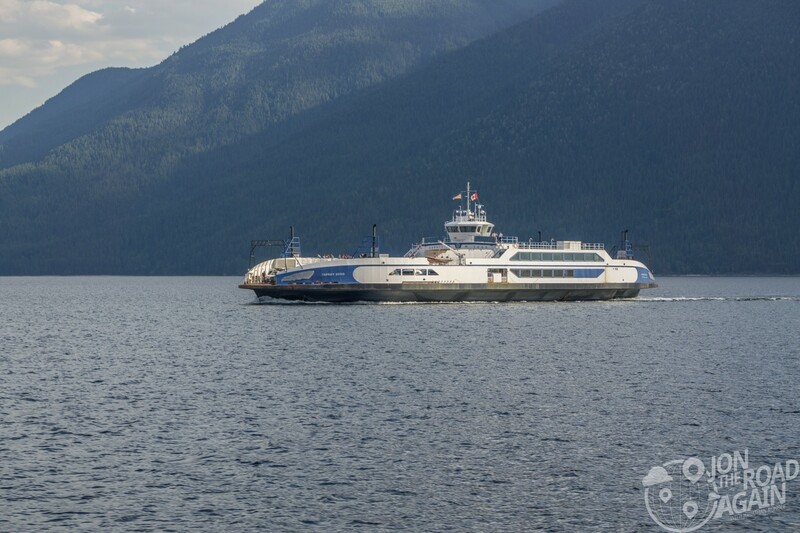 The Kootenay Lake Ferry is the longest free scenic ferry in the world. How about that? 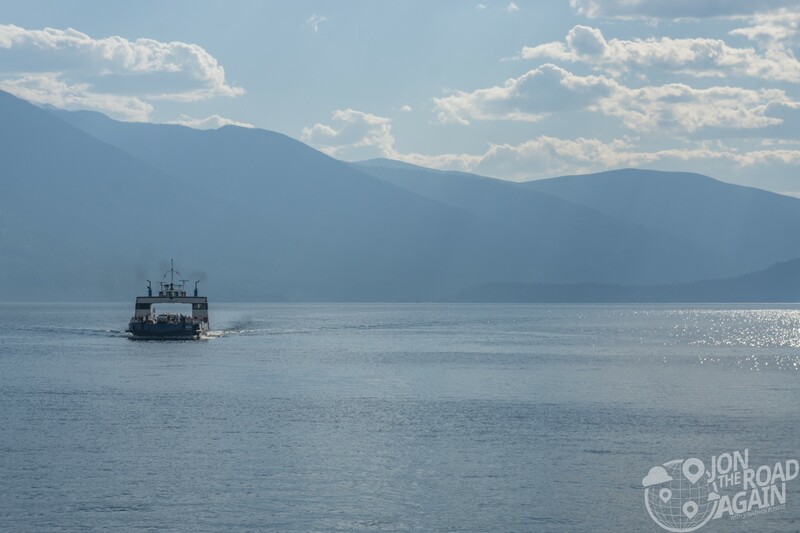 While Kootenay Lake is one of the largest in British Columbia, it makes most of that size in north to south length, 104 km long in fact. Our crossing today is 8 km and will take 35 minutes. 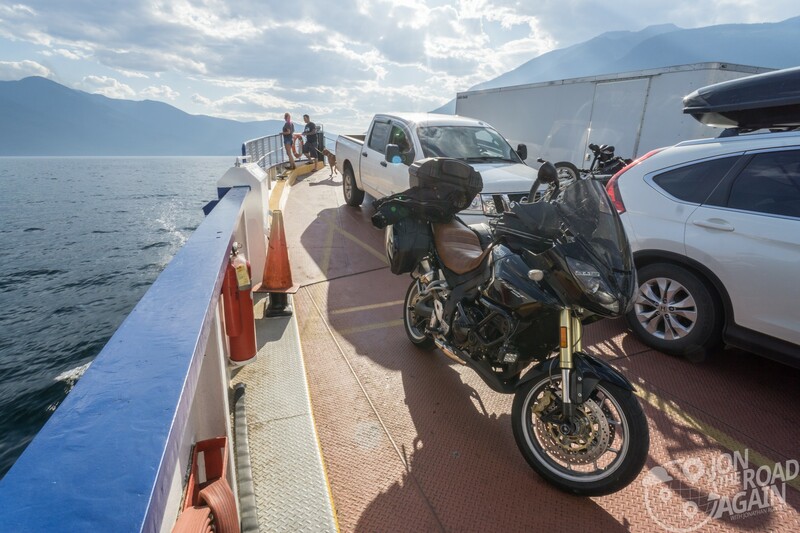 Motorcycles here don’t get first-on, first-off privileges like on Washington State Ferries. In fact, I started to sweat just a little when they started loading RVs and converted busses onto the boat and not little old me. How were we all going to fit? We weren’t! Luckily it wasn’t long before I was chosen from the line to board the ferry. Only two or three cars fit after I was loaded on. As you can see, it was a tight squeeze! 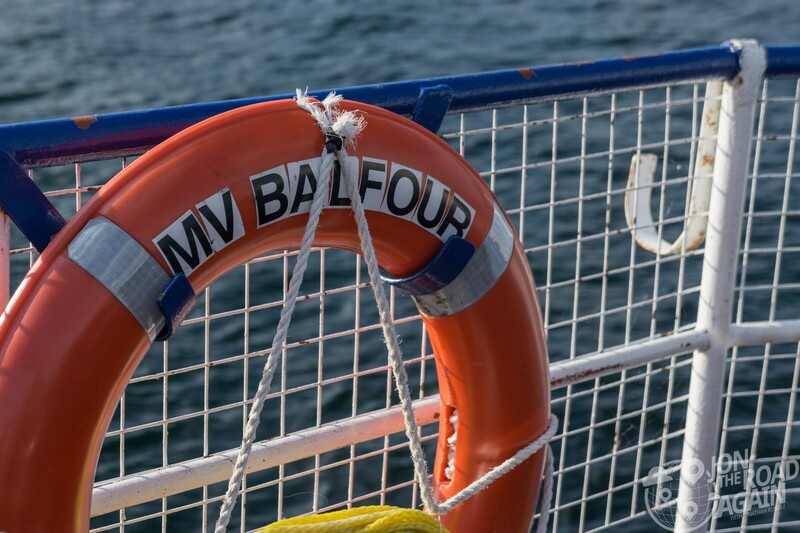 The Balfour is a tiny boat. She only holds 28 vehicles (plus a few motorcycles). 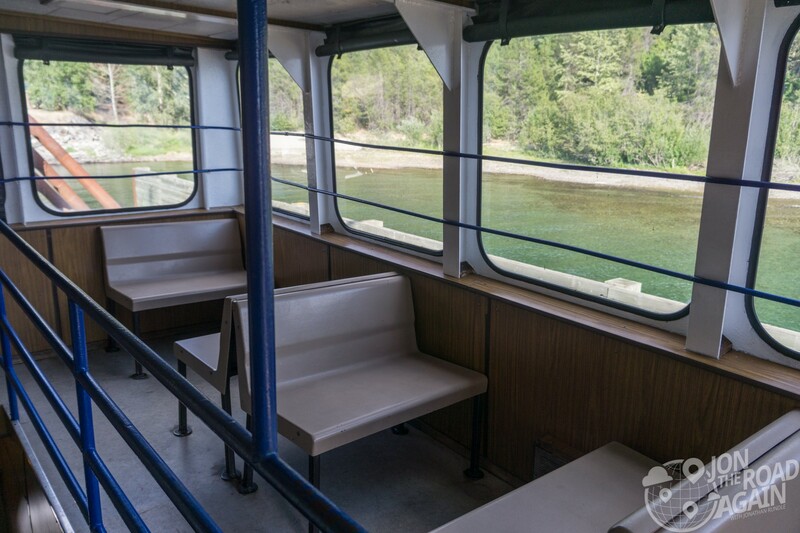 Other than the vehicle deck, there is a tiny little seating area for walk-on passengers or those who just want to sit somewhere other than their car. 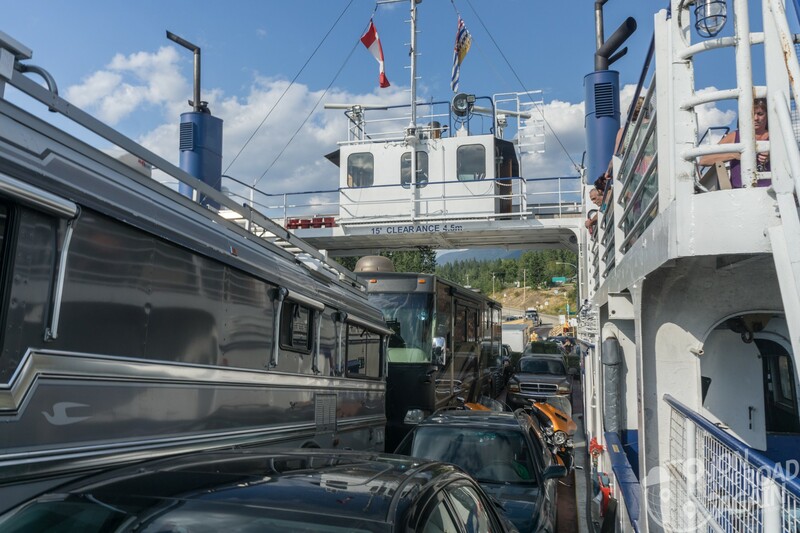 We cross paths with the much larger MV Osprey which holds 80 vehicles and 250 passengers. I like our little boat. 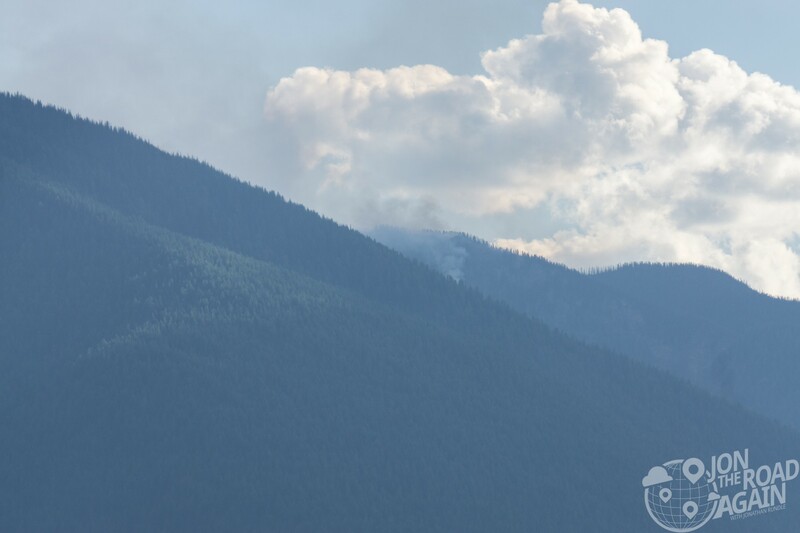 Wildfire season is upon all of the west (see Glacier and Waterton) and British Columbia is no exception. Further north, they’ve closed some roads that are impassable. At lunch stops I check the route I’m planning to take just in case there were closures. 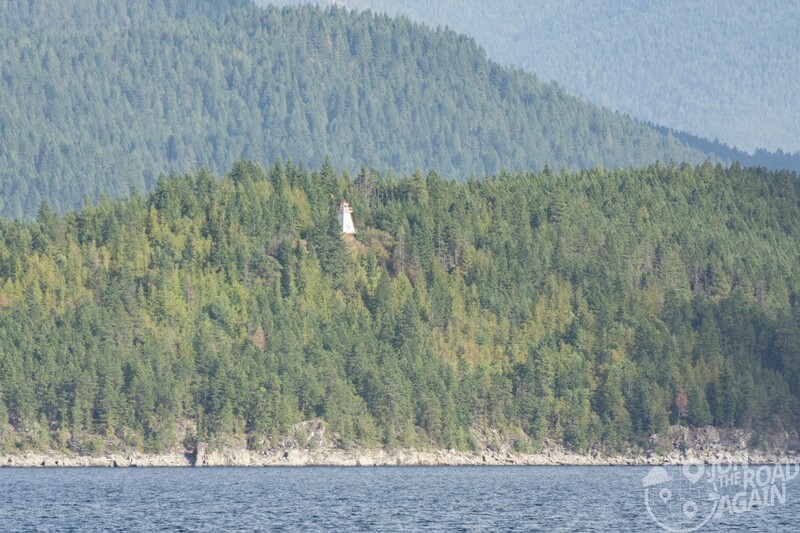 It’s not all fire and smoke – from the Kootenay Lake Ferry as you cross, you can catch a good look at the Pilot Bay Lighthouse, listed on the Canadian Register of Historic Places. The roads around the lake are fantastic. I had been riding Crowsnest Highway and then turned north to BC-3A. 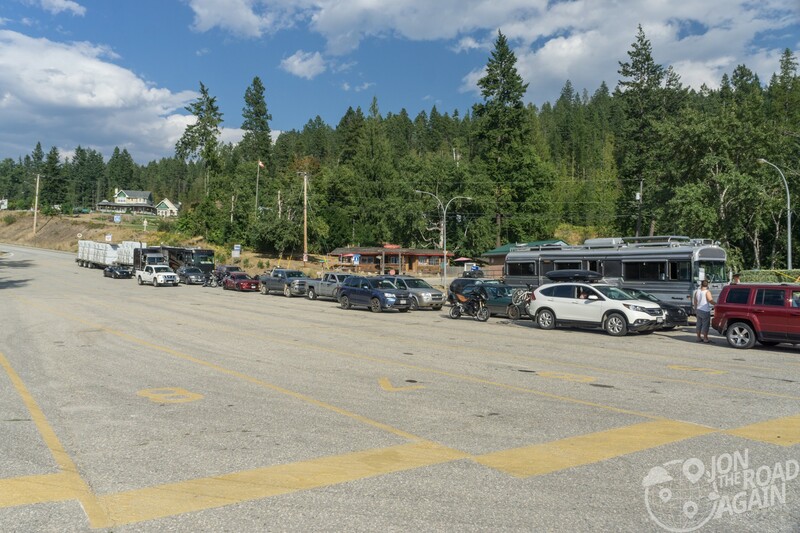 3A follows the very edge of Kootenay Lake for 80 glorious kilometers. That’s about an hour of twisties with a lake view at all times. Incredible. 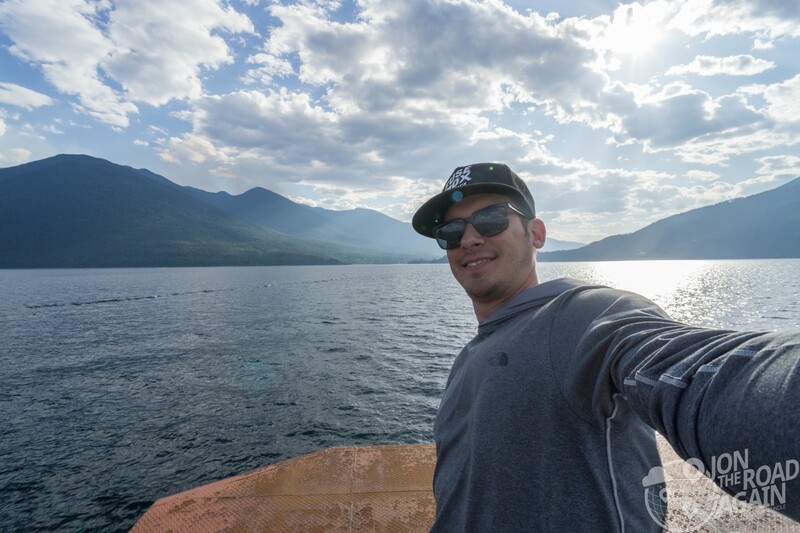 This is the look of a man who just rode perfect motorcycle roads, found lovely weather, gets a free scenic boat ride, and will soon be sitting in a hot spring. When researching this road trip, I saw this ferry crossing and knew I had to take it. 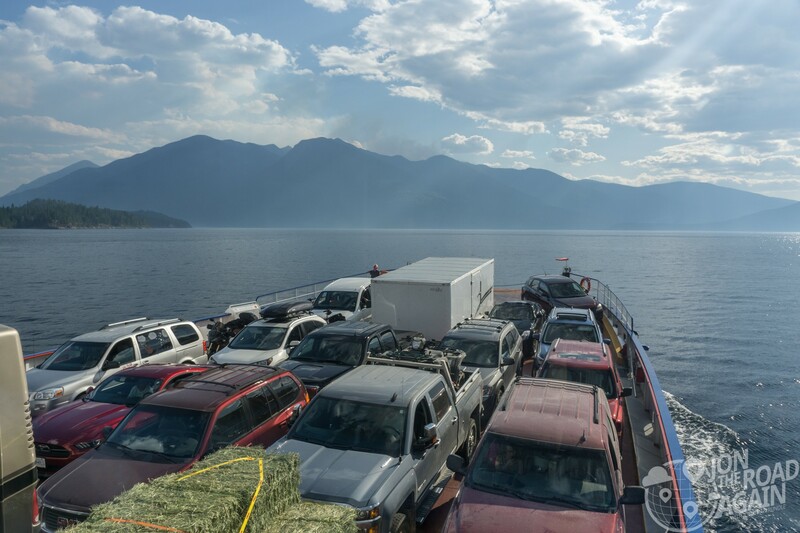 The ferry runs year-round, with two boats operating in the summer. Check the latest ferry schedule. Next we’re off to nearby Ainsworth Hot Springs to soak my aching motorcyclist body in it’s healing natural springs. Beautiful, very nice , green mountains,blue skies and blue water!